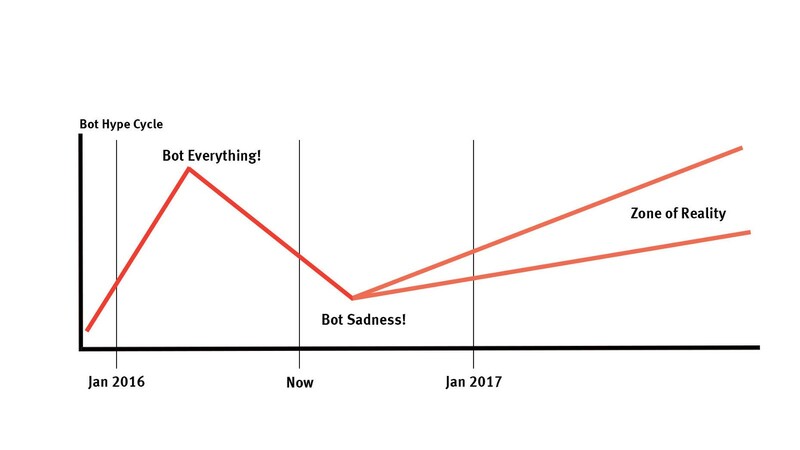 Bots are fascinating, and I’m bullish. 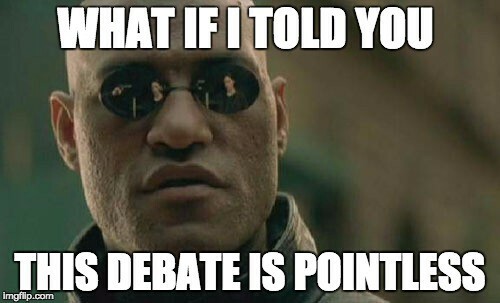 However I’ve become increasingly annoyed and frustrated by the arguments that both believers and skeptics have presented on bots. Believers claim we should forget apps because bots are taking over; Skeptics snicker at the initial poor user experience of bots and restate their allegiance to apps. Both perspectives are nonsensical, because you can’t compare Bots to Apps; bots are a mode of an application. Similarly, you can’t compare Cars to Transportation; cars are a mode of transportation. It’s an important distinction to make because it helps you conceptually understand that bots are not here to replace applications but to augment them with a new mode. 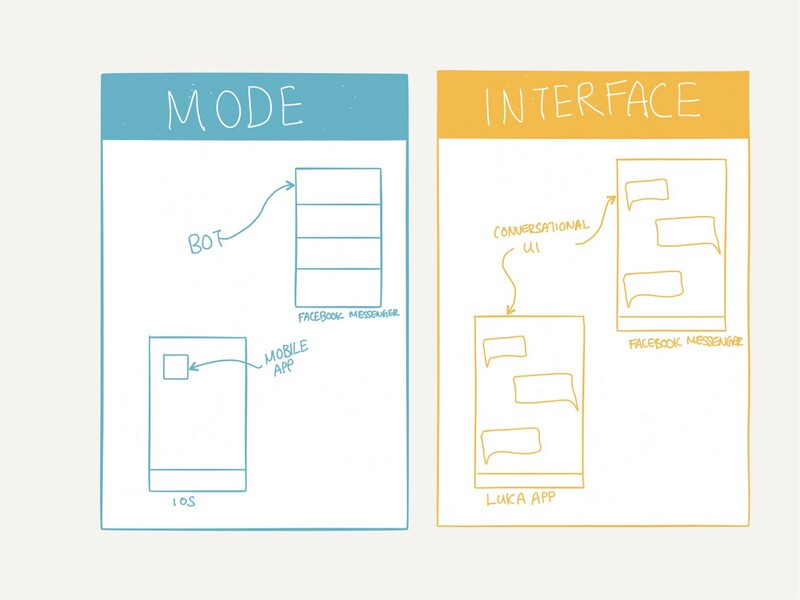 I’ve chosen to use the term mode instead of interface because it provides greater clarity that bots, mobile applications and web applications are embedded in exclusively in different environments each with it’s advantages and disadvantages — being messaging apps, smartphones and browsers respectively. Interfaces on the other hand define different ways to interact with an application but is agnostic to environments. 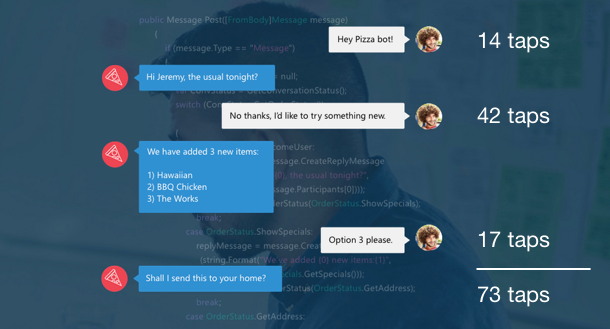 For example a Conversational UI can be both employed as a bot embedded into messaging app and as a standalone mobile application. When we don’t make the distinction that a mode is simply an augmentation of an application, we become fixated on porting over all the existing features and capabilities into the newest mode. Driven by the belief that we are replacing the older one not augmenting it. What results are bloated, non-functional, cringe-worthy applications. 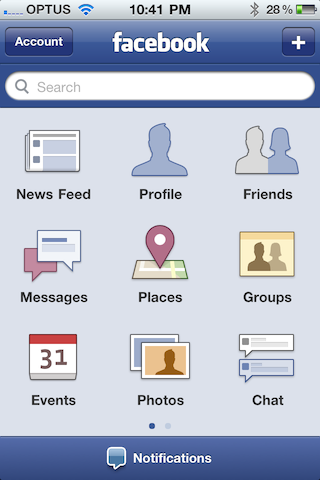 Anyone remember Facebook’s first attempt at a mobile app? 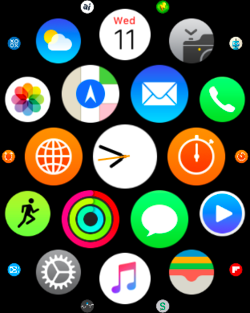 Or what about the the Apple Watch OS 1 & 2? I can’t stress enough how important this distinction is. An application should not be built as isolated modes but a system of modes that caters to a user’s needs and a specific context. Who in the right mind would want to go through 73 taps just to order a pizza?! Bots instead should be built to accomplish a focused set of tasks that cater to it’s modes inherent advantages. Trello is one of the few applications that have done a brilliant job at developing a system of modes. They recognized that the primary advantage for bots are that they can be embedded where conversations in the workplace take place. Instead of trying to include all the features of their project management web application like the creation, assignment, management, and discussion, they were laser-focused on what the bot could do best — capturing ideas quickly as they come up in conversations and the discussion surrounding those ideas. The last point to make is that modes are not static states. Modes evolve when the underlying technology removes previous trade-offs and simultaneously lowers the effort or cost or even both in some scenarios. When this occurs it is possible that modes entirely replace older ones. This phenomena is akin to when businesses employ the Blue Ocean Strategy — the simultaneous pursuit of differentiation and low cost to open up new market demand. As an example, in San Francisco, people who did not live close to the subway would take the bus to work. Buses were affordable but it’s mode came at the sacrifice of longer transit time and a restrictive schedule. However, when Uber built algorithms to coordinate carpooling for riders, it enabled people to get to work at comparable cost with shorter transit time and greater convenience. Today, 40% of rides in San Francisco are driven by Uber’s car-pooling service Uberpool. As Uber continues to drive down prices and increase availability it will spur new use cases and replace older modes. Bots are currently in their augmentation phase. The existing platforms, frameworks and machine learning capabilities are not at point where they holistically create points of meaningful distinction to replace existing modes. However, just as Uber was able to improve technology to transition into the replacement phase, as we build more powerful AIs and as the platforms provider richer and interactive content types — Bots will replace existing modes because that’s just the way it is. Enjoyed the article? Click the ❤ below to recommend it to other interested readers!